Anyone interested in search engine marketing is always looking for information “straight from the horse’s mouth” – the ‘horse’, of course, being Google. 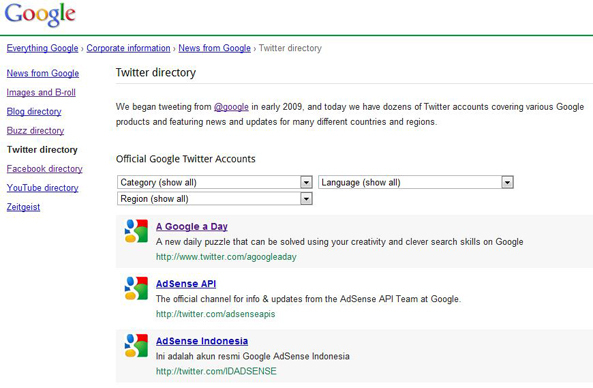 It’s easy to get regular updates from numerous product teams at Google thanks to their extensive list of Twitter feeds. I’ve been following a couple of their feeds for a while (e.g. @google and @adwords), but I had no idea there were so many official Google feeds until I stumbled across their Twitter Directory. I recommend anyone interested in search, or any Google product for that matter, to have a browse through the directory and see what’s worth following.